Nathan Ake capped off his fine 2017/18 season with AFC Bournemouth by walking away with all of the player of the season prizes at the end of campaign awards night. Ake first came to England in 2011 after agreeing to join Chelsea from Feyenoord, aged 16. He made his Premier League debut the following year in a 1-0 win over Norwich City at Carrow Road. A month later and the Dutch international was rewarded with his first start for the club in an FA Cup tie against Middlesbrough before going on to start Chelsea's Europa League quarter-final clash with Rubin Kazan. Ake, who is comfortable in defence and midfield, went on to win Chelsea's Young Player of the Year for 2013 and started his first Premier League clash three days later against Everton. However, after finding starts hard to come by following various managerial changes for the Blues, Ake sought regular first-team football and was loaned to Reading for a month towards the end of the 2014/15 season. He made five league appearances for the Royals, three of which were draws, before returning to Chelsea to collect his winners' medal after they had been crowned Premier League champions. Ake completed a season-long loan with promoted Watford in 2015/16. Quique Sanchez Flores deployed him as a left-back and he went on to make 24 league appearances for the Hornets. His maiden goal in professional football came in December 2015 when he scored the opener in a 3-0 win over Liverpool at Vicarage Road. Ake's efforts and consistency earned him Watford's Young Player of the Year award. Ake opted to join the Cherries on loan ahead of the 2016/17 campaign. After cementing his place in the starting line-up, he went on to score his first goal for the club against Stoke City in a 1-0 win. A fortnight later, he netted a dramatic late winner in a thrilling 4-3 victory against Liverpool at Vitality Stadium. Recalled by Chelsea at the turn of the year, Ake became part of the squad which won the Premier League title and reached the FA Cup final. In the summer of 2017, Ake joined the Cherries on a permanent basis for a club-record fee. He certainly did not disappoint back at Vitality Stadium, playing in every Premier League match and missing just 60 minutes of the campaign while becoming a talismanic figure, winning nearly all of the player of the month awards. Having scored in a 3-3 draw with West Ham on Boxing Day, Ake helped further seal the affection of the Cherries support when he netted away to former club Chelsea in the 3-0 win at Stamford Bridge in January. 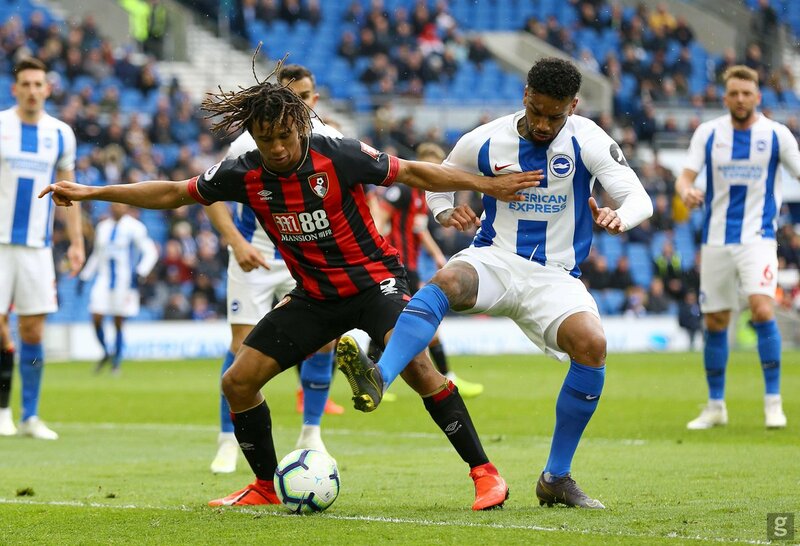 Ake capped his first full season with the Cherries by winning a host of player of the year awards and was ever-present in the first-half of 2018/19 as the club enjoyed its best start to a Premier League campaign.